Chrono hands for Tissot Navigator? 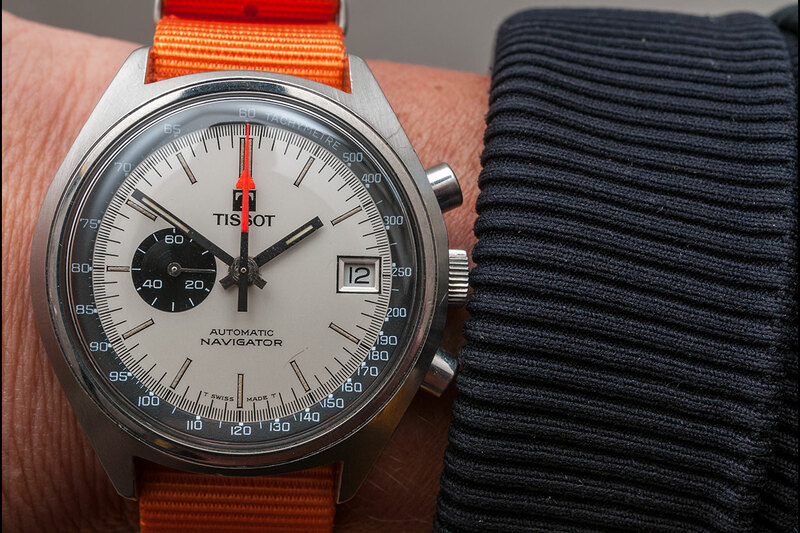 Thread: Chrono hands for Tissot Navigator? I'm not really sure, but i think the chrono hands are wrong. If i'm right, they should be orange instead of red, and the seconds chrono hand is way to slim. So maybe this is a 'put together'? Anyway, is there a way to get original (looking) hands for this? They look wrong, indeed. They are supposed to be bright orange. I'm not sure about the shape of the central second hand. Perhaps it's the angle of the shot. I needed a new set of hands for my Lemania 1341 (Sinn 142 style case and dial) and I found them at http://www.vintagehorloges.nl/ overhere in Holland. The owner, Ferrie Schweitzer, is a long time Omega restorer. 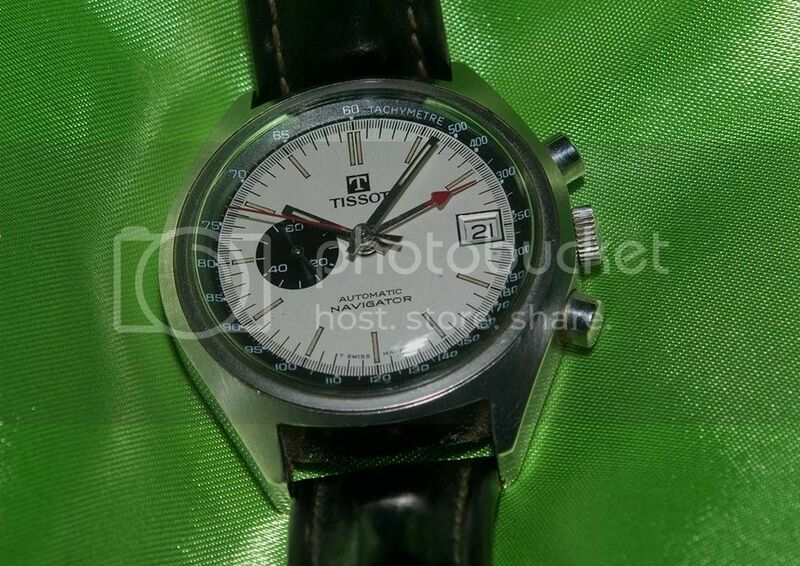 And since Omega and Tissot shared a lot of parts back in the 70s, it was pretty easy to buy them from him. In my case, off the shelf! Yes, i think the secons chrono hands should be 'delta' shaped like yours. I also noticed that your main hands has no 'flat' ends like mine, however there is a black faced version on the bay currently which has also 'flat' ends. Very nice band, be the way. I think the main hands are ok, the chrono second is incorrect in shape and the minute chrono is incorrect in colour, so probably a replacement set of chrono hands. Since i'm still looking for the central chrono hands: does anybody know if hands for the Lemania 5100 also fit the Lemania 134x movements? Not totally correct, because the lower part of new central stop seconds hand should be chrome, but anyway, i'm happy. The new hand is for Lemania 5100, it does not fit in general, because it's tube is too wide for the Lemania 134x, but my good watchmaker did the work. As well as the nice orange color. What a difference! Last edited by rega; 14-10-2014 at 17:50.